A growing number of women are taking responsibility for mowing the lawn, according to a 2007 MSNBC article. A survey of 689 women found that women's top priorities when mowing include improving lawn appearance and trimming grass more neatly. Women also "tend to prefer slightly smaller machines that are less noisy and easier to start," as well as quieter machines that spew less pollution into the air. 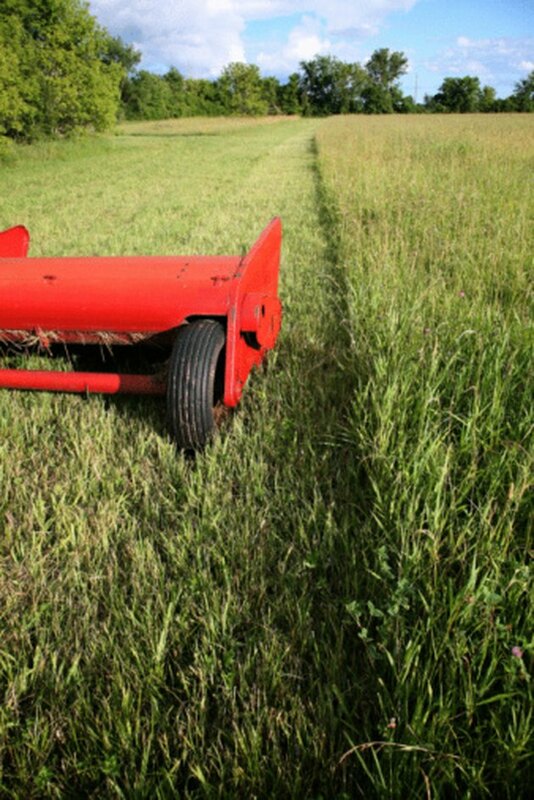 Push reel mowers are quieter and less polluting. For environmentally conscious women -- or those who simply don't want to bother with starter cords, gas or power cords -- a push reel mower is a good choice. Push reel mowers are also quieter than gas- or electric-powered mowers. The number of push reel mowers sold annually increased by 100,000 between 2002 and 2007, and two of three push reel mower buyers are women, according to MSNBC. Push reel mowers also offer an effective exercise opportunity, a benefit noted by 18 percent of female lawn mowers surveyed. Power Draulics Inc.'s Easy Push Reel Lawn Mower was designed especially for women. According to the company's website, in Amish communities women typically do the yard work and the mower was created with their needs in mind, which include high-quality machinery that is easy to use and long-lasting. The Easy Push Reel Lawn Mower offers woman-friendly features, such as large tires that roll easily and six blades for more efficient cutting. Though -- at 40 pounds -- the mower is heavier than most push-reel models, the website states that the mower's heavier weight actually makes it easier to use, as it holds to the ground instead of bouncing. 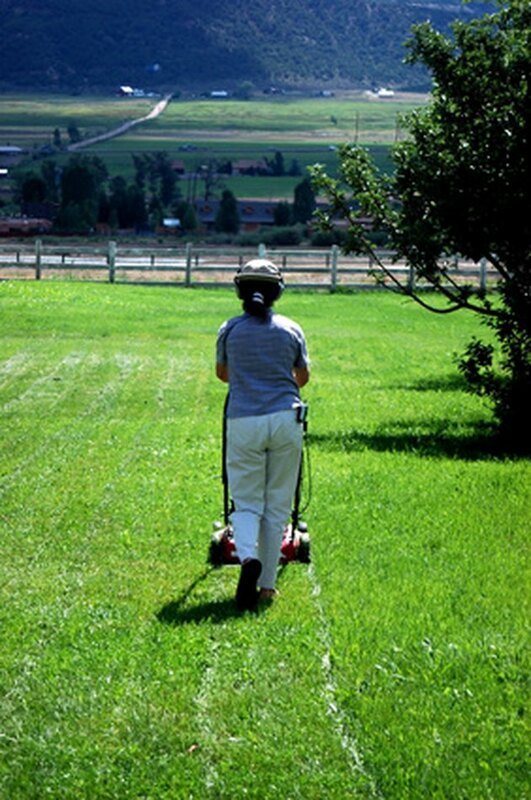 Many women cite exercise as a mowing benefit. Electric mowers are another good choice for women who don't want a loud, gas-powered mower but don't want quite as much of a workout as offered by a push reel model. Choose between corded or cordless electrics. The cordless Toro e-Cycler received a "best" rating from Consumer Search. Best for small, flat lawns, the e-Cycler has a 4-inch cutting height, a mulching feature and a 36-volt battery that charges in about three hours. Disadvantages of a cordless mower include the need to recharge the battery. If you prefer a corded electric mower, Consumer Search ranks the Black and Decker MM875 as the "best" in its class. Unlike battery-powered mowers, corded mowers won't run out of power and need a recharge. The MM875 features a 19-inch cutting path, an easily folding handle and a mulch option. The main drawback to the MM875, and indeed any corded electric mower, is the length of the cord, which limits the mower's range.